Members of the RE team at Edge Hill have been busy presenting the findings of their research at conferences up and down the country. 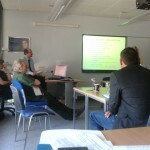 Paul has presented his work on Using Twitter with undergraduates at the SOLSTICE conference at Edge Hill. 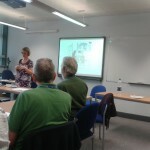 At the CLIS Conference at Edge Hill Francis presented some of the early findings of his investigation into the attitudes and perceptions of boys in Skelmersdale and Maggie shared a paper on Learning through the socail media site Second Life. Paul has also presented some collaborative work with Emma McVittie, on Using Guided Imagery to develop Spirituality at the International Childrens’ Spirituality Conference at UEA and the AULRE conference at St. Mary’s Twickenham. Previous PostPhil RobsonNext PostPGCE Graduation success!